Total Area: 2695 sq. ft.
First Floor: 1050 sq. ft.
Other Floor: 555 sq. ft. 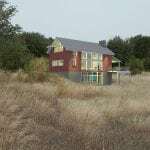 This Lindal Modern Classic Juniper home is a super-efficient barn form with three levels of living. The soaring great room showcases Lindal’s post-and-beam frame. Open girders provide a human scale and support the upper level master suite above the kitchen. 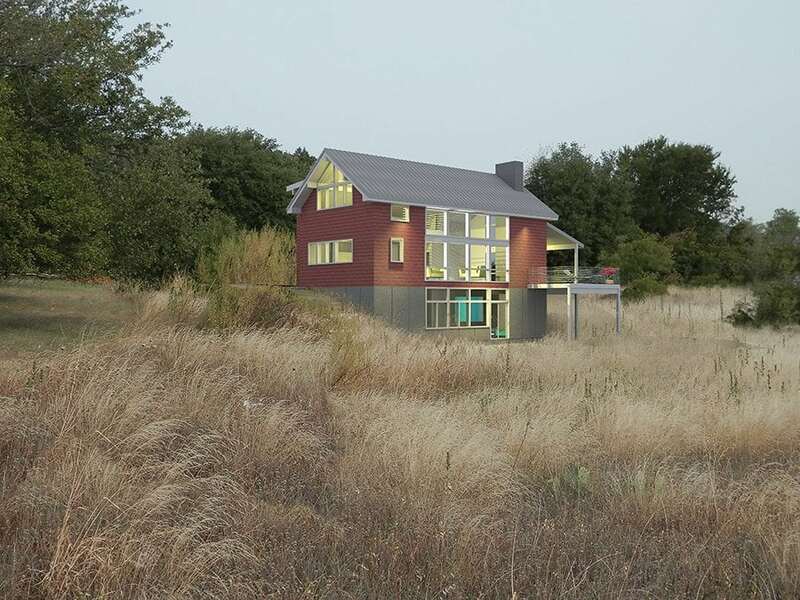 A lower level with two bedrooms and a large family room complete the hillside design. See more Lindal Modern Classic Home Designs in our Lindal Modern plan book. View free as an ebook or purchase the 156-page spiral-bound full-color Lindal Modern book.